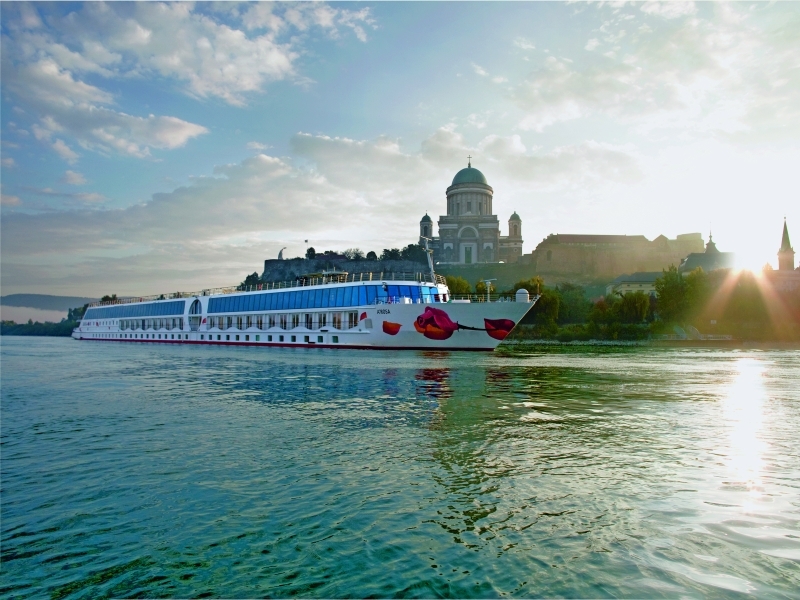 Explore Europe’s second longest river on a stylish, contemporary A-ROSA river cruiser. Sail through Germany, Austria, Hungary and Slovakia, visiting some beautiful cities and enjoying the casual elegance of life on board. The A-ROSA experience is designed to make river cruising as relaxed and enjoyable as possible. With excellent, ‘freestyle’ buffet dining, cocktails in the lounge bar and fine-weather barbecues on the sun-soaked top deck, fun things to do on board and ashore, and a lively, friendly atmosphere, you’ll soon feel right at home. Immerse yourself in the Danube’s history and culture as you spend two days in stunning Vienna, see Hungary’s largest church and tallest building – the dome-capped Basilica in Esztergom – and pass another two days exploring the historic capital of Hungary, Budapest. Enjoy a day in Bratislava, Slovakia, before sailing back past Vienna overnight to spend a morning cruising though the glorious scenery of the Wachau Valley to Melk. Flights also available from airports in England – Birmingham, Bristol, London Gatwick, London Heathrow, Manchester & Newcastle – click here for more information on dates & prices. Fly to Munich, where your included transfer will be waiting to carry you to Engelhartszell near Passau, where you’ll begin your A-ROSA Danube cruise. Settle in to your cabin and explore the ship, ready for departure in the early evening. After a lovely morning meandering down the Danube, you’ll arrive in the Austrian capital, Vienna, around lunchtime. This bustling cultural and economic centre will be brought to life by an included city tour. Discover why it is known as the ‘City of Music’, and explore streets and squares lined with a wonderful blend of classical and more modern architecture. Or simply explore or relax at your leisure. A lively day of exploration lies ahead. Arrive early at small but historic Esztergom, one of the oldest towns in Hungary. Visit the impressive Esztergom Basilica, which dominates the town skyline, and then return to the ship in time to depart before lunchtime. In the mid afternoon you’ll arrive in beautiful Budapest. Stroll through the streets on an included city tour, take in the neo-Gothic architecture, perhaps visit the newly reopened Museum of Fine Arts, which holds one of the most extensive collections of European art in the world, or just relax in a quaint cafe or bar. Enjoy a second day in Budapest, perhaps continuing to explore the city’s many cultural attractions. With so many museums and galleries, fashionable stores and restaurants on offer, your biggest chore will be deciding which to choose. The ship leaves this evening to begin the long, relaxed cruise back up the Danube. After a morning on the river you’ll arrive in Bratislava, Slovakia’s largest city, to spend the day. The pretty streets and old European cityscape make this a really enjoyable place to explore before A-ROSA DONNA departs in the late afternoon. After a memorably picturesque cruise though Austria’s Wachau Valley, you will arrive in Melk in the early afternoon. This city is dominated by the spectacular hill-top structures of Melk Abbey, and is home to stunning medieval architecture as well as charming shops, bars and cafes. You’ll have a few hours of free time before A-ROSA DONNA leaves Melk and cruises back out into the Danube. Watch the banks drift past from the top deck in the late afternoon sun, and enjoy your last evening on board. You’ll arrive back in Passau early this morning. Disembark A-ROSA DONNA to meet your included transfer to the airport and catch your flight home.